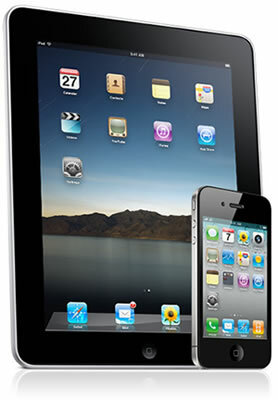 A new class action lawsuit accuses AT&T of "systematically overcharging" iPhone and iPad users for data usage. Suspecting foul play, AT&T customer Patrick Hendricks and his lawyers hired an independent tech consultant who conducted a four-month study that determined AT&T inflates data consumption figures by an average of 7% to 14% and sometimes as much as 300%. In an interview with MSNBC, attorney Barry Davis likened the discovery to a rigged gas pump that only dispenses 9/10's of a gallon. Davis said the researchers recorded discrepancies that bloated every single data transaction. Affected users may only pay an extra $10 or $15 per month, but that's big money when you multiply it by as many as 20 million iPhone and iPad owners. In addition to overestimating legitimate data transactions, the suit accuses AT&T of so-called "phantom charges." The tech firm reportedly purchased a spanking new iPhone and disabled everything that might trigger data usage. After letting the handset sit on but unused for 10 days, it supposedly accumulated charges for 35 different transactions totaling nearly 3,000KB. The tests also found that AT&T doesn't always record the correct time and date of data usage, causing some transactions to appear on the wrong bill. It's unclear how much cash AT&T might be making off the unscrupulous billing, but the suit didn't hesitate to note that the company's wireless data revenues increased by $1.1 billion on-year in the fourth quarter of 2010. The carrier has responded to the allegations by saying that they are "without merit" and reflect a "misunderstanding of how data is consumed and billed." AT&T blamed some of the overages on applications that run in the background or those that are automatically updated. For instance, less tech-savvy users might not realize that features such as push notifications count toward their data limit.